Inflation description of a pillowplate. 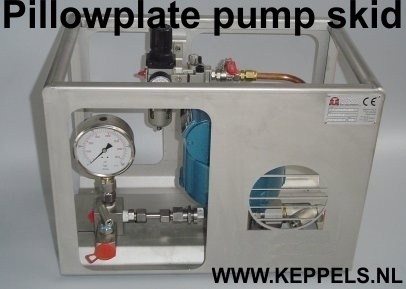 The inflating of the pillowplate is done with water or compressed gas. Because it is dangerous inflating with gas, special safety should be taken care of. Inflating with water is not dangerous and can be done to pressures of 250 bars. Water pressure can be boosted with air pressure to the needed pressure. Special pump skids are available and easy to use. We can supply these units or advice to built one. Using quick connectors makes inflating a nice and easy job. The inflating connection normally made by the final pipe size connections. The inflating connection is made by a small pipe diameter 6 mm. The inflating pressure and pillow height depends on the pattern and the pillowplate thickness. After inflating the pillowplate the connections can be made. 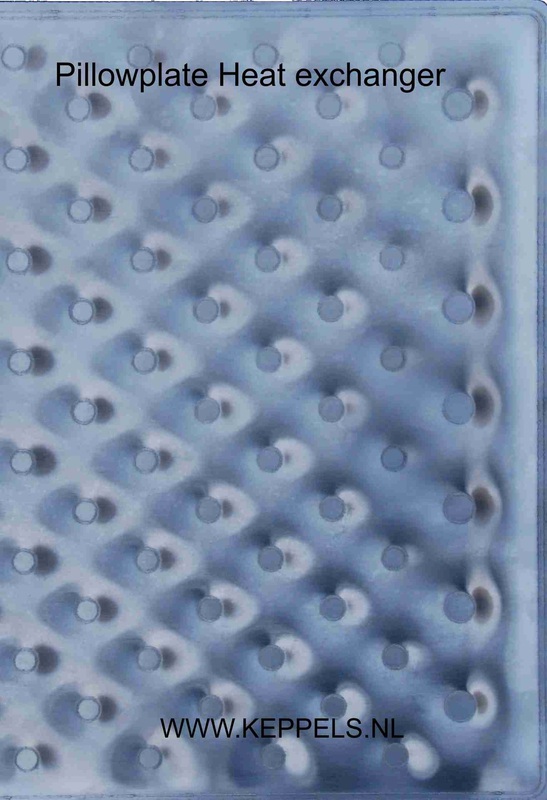 Pillowplates that have to be flat and double embossed pillowplates are inflated in an inflation table.